Well, it doesn’t get much better than 12-0 and a win over Michigan. Okay, it would be nice to have a bowl game in our future . . . but that wasn’t an option. 12-0 was the best we could do, and we did it. 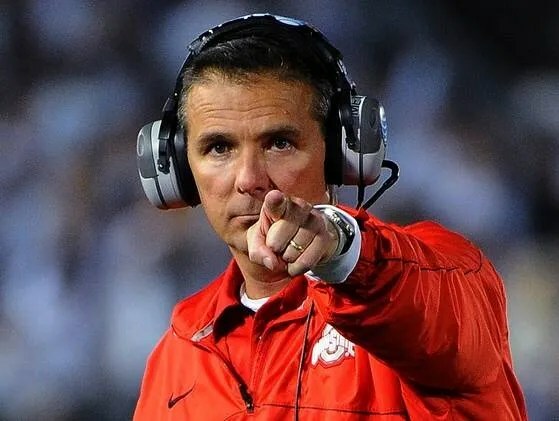 I give a lot of credit to Urban Meyer. He took a 6-7 team and turned it around. He got it playing with passion, and he got it to believe in itself. He had a great senior class and good coaches to help him, but Urban Meyer set the tone. Obviously, we hope that he continues to recruit and coach as well as he did this year. If he does, the future for Buckeye Nation is bright. And how about the Buckeyes’ defense? When they missed the tackle on Denard Robinson that allowed the long TD run at the end of the first half — and Robinson’s incredibly annoying spoon motion — I got a bad feeling. But the defense rose to the occasion in the second half, belting around the Michigan offense, forcing Robinson to fumble, stopping him on crucial plays, delivering crushing hits, forcing turnovers, and sucking it up as the offense muffed opportunity after opportunity. With the way the defense played in the second half, Ohio State should have won this game for two TDs or more. This big win goes to the defense — and to Carlos Hyde, for finally grinding out those tough, classic Big Ten first downs on the ground that salted away the victory. I also need to give kudos to Michigan. One reason this game is the best rivalry in college football is that, year in and year out, the games are close and incredibly hard fought, no matter the records the teams bring to the game. This year was no exception — a nail-biter filled with bone-jarring hits and great plays. Every time the Buckeye defense forced a turnover in the second half, Michigan’s defense rose to the occasion and denied the Buckeyes the score that would have put the game away. Michigan was in the game at the end only because their defense played tough-as-nails defense. Anyone who watched the awful Michigan defenses during the Rich Rodriguez tenure has to give Brady Hoke some serious props for bringing the Michigan defense back to its roots and traditions. For now, though, we’ll raise a glass to Urban Meyer, the Ohio State defense, and a much-cherished win in The Game. Beating Michigan never gets old.